Inspired by a vintage postcard, this piece has a dreamy feel of escape from reality. Inspired by a vintage postcard from the 1950s. This piece has the beauty of a Vacationland, floating and being away from the pressures of the world. Set at the bottom is a woman relaxing which was inspired by a 1940s photo. 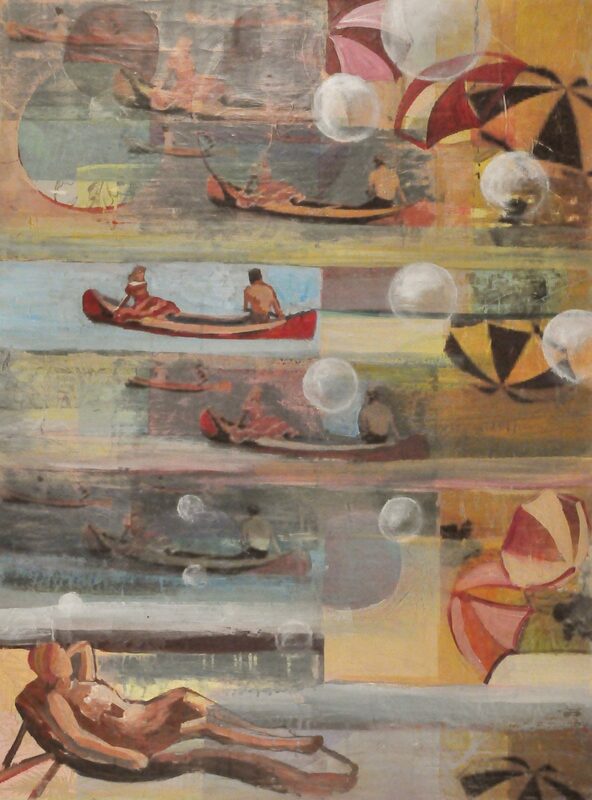 The floating bubbles creates a dreamy feel and amplifies the Escape of floating in a canoe.